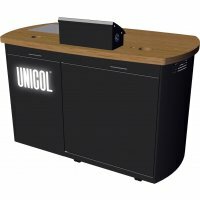 British AV mount manufacturer, UNICOL, have expanded their AV Furniture range with the addition of the Mentor Teaching Aid Desk. Based on the Principal (shortlisted for an InAVation Award), the Mentor provides a central desk facility that accommodates all AV lecture content, screen or projector video sources, audio and lighting levels, and more. The 1300mm wide desk provides users with a large teaching area as well as generous storage facilities. With 19” removable 6U racks and a 1U vertical rack mount, keyboards, notebooks, hardware and more can be safely stored away. 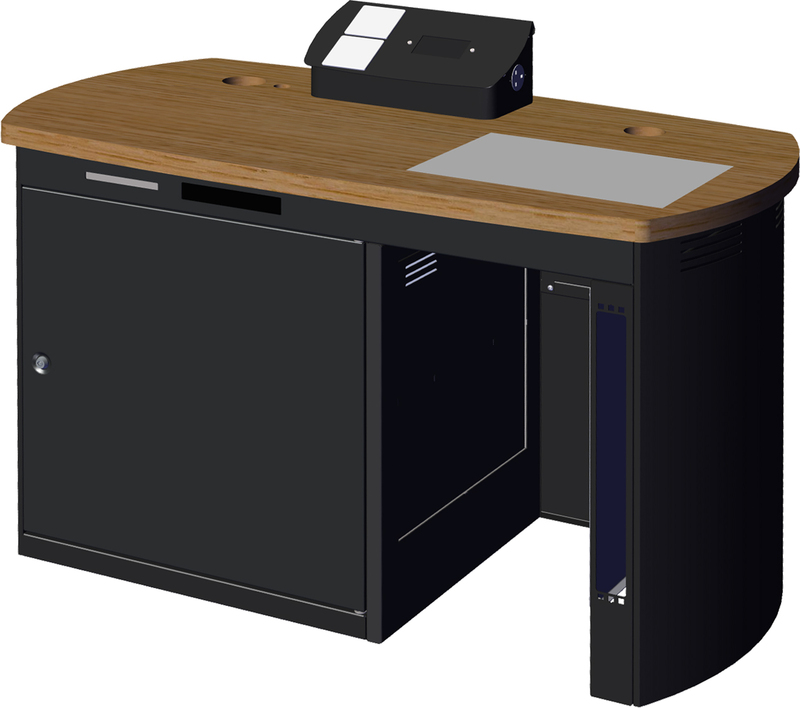 The Mentor also features a hinged desktop and a new quick release door mechanism to allow for integrators or IT staff to access and store cabling/devices, making installation and check-ups simple and efficient. Designed to make the user’s life easier, the Mentor is available with a custom or standard control housing, a computer screen mount, suited keys and the option of an integrated visualiser. 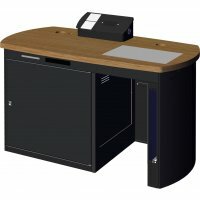 Helping to keep the look and feel in line with the universities brand requirements, the Mentor comes in a variety of wooden desktop styles (including oak and beech), a choice of cabinet colours (black, white, silver) and illuminated logos are available. Currently installed at the University of Surrey, the Mentor will be showcased at this year’s ISE. 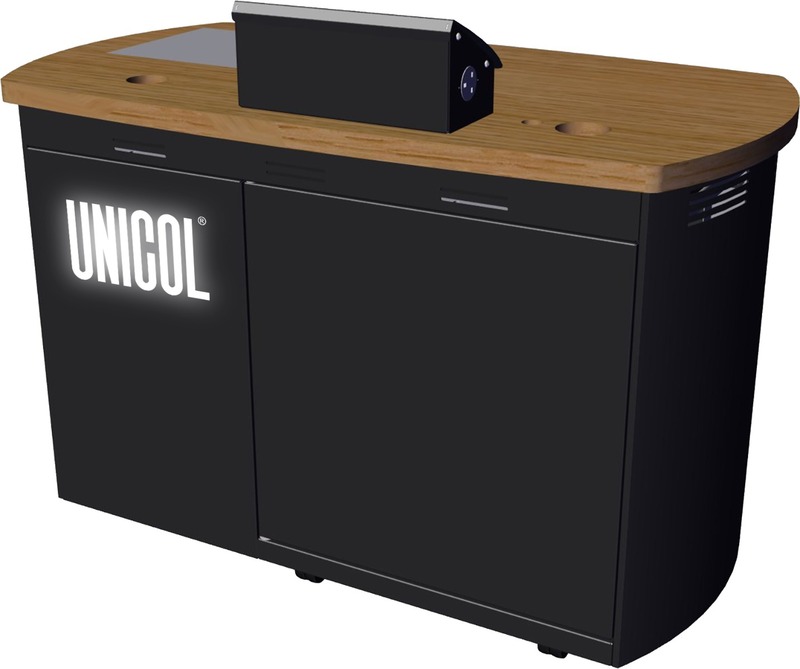 For an exclusive look and preview, visit UNICOL in Hall 1 - N120 (use code 707137 for free registration). For more information on the Mentor Teaching Aid Desk, please email sales@unicol.com and for more information on other UNICOL products head to www.unicol.com. Download or read the brochure here.